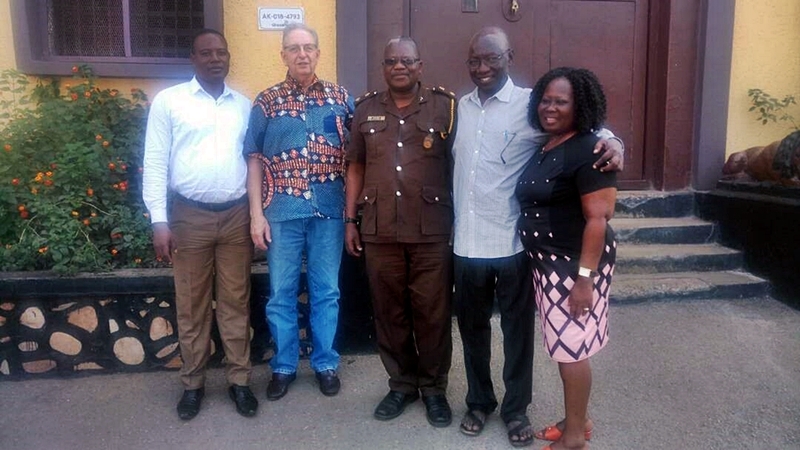 We have received word from Ghana that the prison ministry in Kumasi, Ghana is beginning to realize some “fruit” for their efforts. Two of the prisoners have served their sentences and have been released. While serving their time they both attended the prison Bible school sponsored by this ministry. Now they have asked to be part of the evangelism team so they can give their testimonies to help prevent others from ending in prison. The photo was taken outside the prison. Left to right are: Rev. John Harrison, Rev. Jerry Smith; the Prison Chaplain; CMM director Boachie and his wife, Dora. In addition to that good news, we will soon be posting graduation and ordination service reports of five Bible schools of churches throughout Ghana.